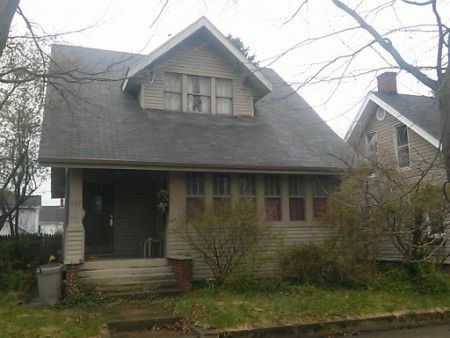 One and a Half Story, 2-3 Bedroom, Full Bath Home * Diamond in the Rough! 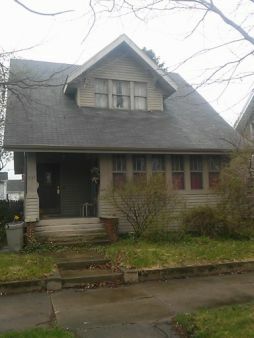 The one and a half story home has a detached garage 2-3 bedrooms; full bath with shower over tub; living room w/hardwood floor, 3 walls of windows, wood burning fireplace with Oak & brick hearth & wood stove; formal dining room; kitchen with top & bottom cabinetry; upstairs has 2 bedrooms; basement is brick foundation and concrete floor. At the rear of the home is a covered brick paver patio; the garage fronts on Ohio Street with concrete driveway. Real Estate Terms: $5,000 Minimum Bid; $3,000 down at time of sale in cash or check; balance & possession at closing on/before July 10, 2014; offered free & clear prior to closing; taxes prorated to closing; sold in as-is condition; no buyer's contingencies exist. Taxes & Legal: Pickaway Co. Parcel No. A0530700001300; Annual Net Tax: $1,444.19.